All Longview homes currently listed for sale in Longview as of 04/19/2019 are shown below. You can change the search criteria at any time by pressing the 'Change Search' button below. "Don't miss this rare opportunity to live on the beach & watch the ships go by on 300' of Columbia River frontage! This 1987 sq ft home has living rm w/ high ceilings, custom kitchen w/ island, dining area, laundry rm & master suite w/ walk-in closet. 912 sq ft studio has living room w/ vaulted ceiling, kitchen, laundry rm, den & master suite. Detached 6-car shop w/ 2 storage rooms, RV parking & patio. Fresh, clean & pleasure to show!" 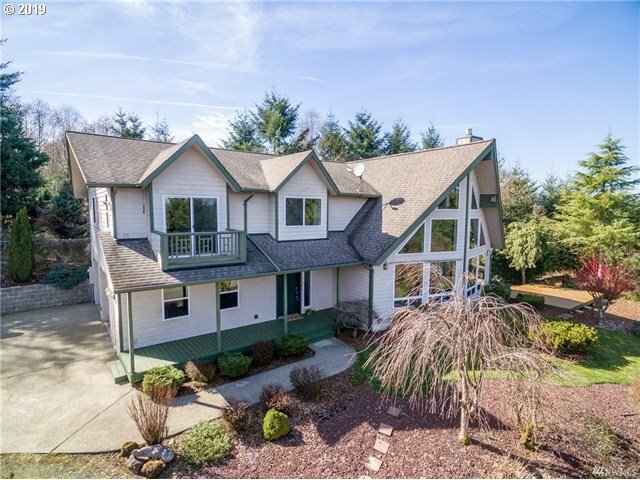 "Stunning NW Contemporary Home with Commanding Cowlitz River & City views! Spectacular home boasting 4245 SF, 5 bdrms, 3 bthrms, lg mstr suite on main w/walk-in closet & slider to private patio, Open concept home w/vaulted open beam ceiling, Gourmet kitchen w/Selix Cabinetry, slab granite countertops & hardwood floors, frml dining rm w/FP, Frml living rm w/walls of viewing windows & door to wrap around deck, home theatre w/FP." 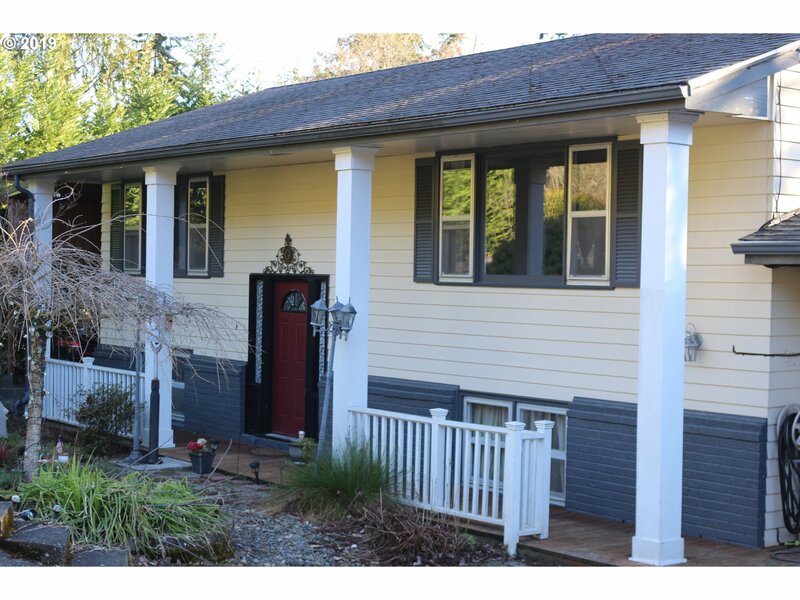 "Beautiful 3 bedroom, 2 bath home with outstanding views of the Columbia River. Columbia River beach access easement comes with this home. Home also has a 36' C 48' 3 bay shop/garage. Detached shop garage has 4 inch thick concrete floor, and high roll up garage doors. Home is equipped with a heat pump, and a free standing wood stove that can heat the entire home in the winter. Gorgeous views of the Columbia River are available." "Beautiful 3438 sq. ft. home on almost 3 acres of wooded property. Home features 3 bedrooms, 3 baths, propane fireplace in living room, family room w/bar & theater room, new carpet, new granite countertops in kitchen, new water softener, 2 hot water heaters & heat pump. Outside has new covered area for extra parking. Fenced area for pets w/stairs to a pet door that leads inside. 2 decks & patio. Several fruit trees and trails to explore!" "Beautifully wooded/secluded Eufuala Heights location - 4 bed/2.5 bathroom - 2326 sqft - Living Rm w/ Wood Stove - Large Open Kitchen - Vaulted Ceiling w/skylights - Dining Room - Master Suite w/ Full Bath & Walk in Closet - Heat Pump & A/C - Wood Stove - Granite Countertops - Double Car Garage - Large Concrete Patio - Cement Planked siding - Lots of Yard Space and Riding Trails - Garden Space - 2 Bay Shop w 220 power - Dead End Street"
"This beautiful one story home on 3.04 acres features three bedrooms & two bathrooms. Large vaulted great room with slider to covered patio. Kitchen with island, pantry, stainless steel appliances & granite counters. Spacious master suite with jetted tub and walk in closet. 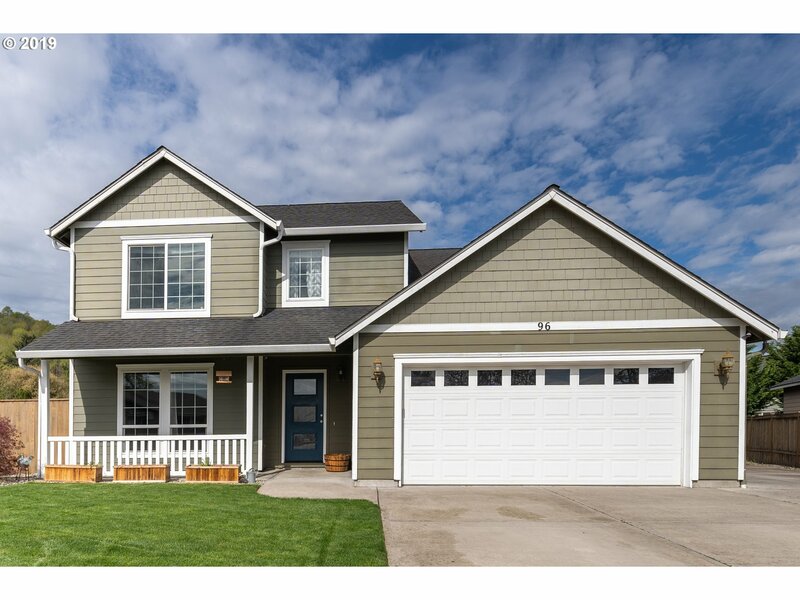 Home features 9 ft ceilings throughout, hardwood floors, knotty alder doors & trim throughout. Three car garage, heat pump, RV parking, fire pit and dog kennel." 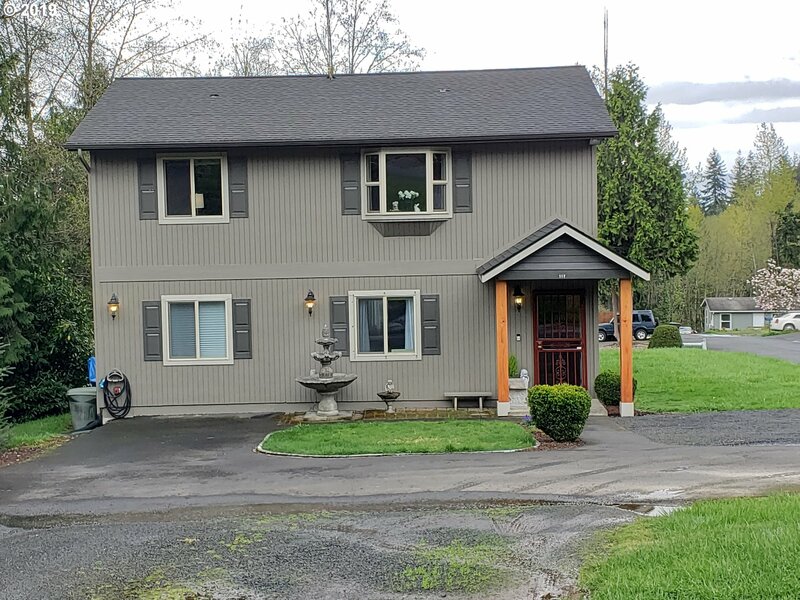 "Great 4 bedroom, 2.5 bath home priced below tax assessed value with an additional 1600 sq ft outbuilding that can be used for a separate hobby/exercise area, or as a detached storage/shop/garage. 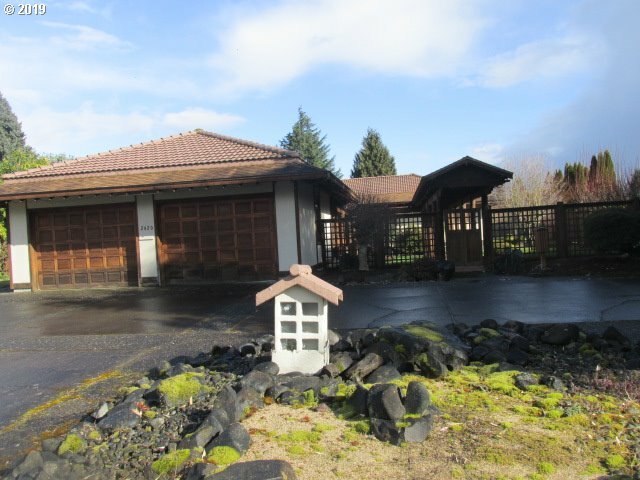 Over 1 acre lot in a central Longview location with fruit trees, and Koi pond. Covered walkway leads from garage to front door. Home has an oriental style throughout. Schedule a showing today." "Wonderfully private 2.78 acre setting for this four bedroom/3.5 bath home on Columbia Heights! With over 3700 sq. ft., it features a large, open great room with a wall of windows, kitchen with professional style gas range (propane) & walk-in pantry, spacious master with walk-in closet & bath with jetted tub. The lower level is perfect for media, games & hobbies. 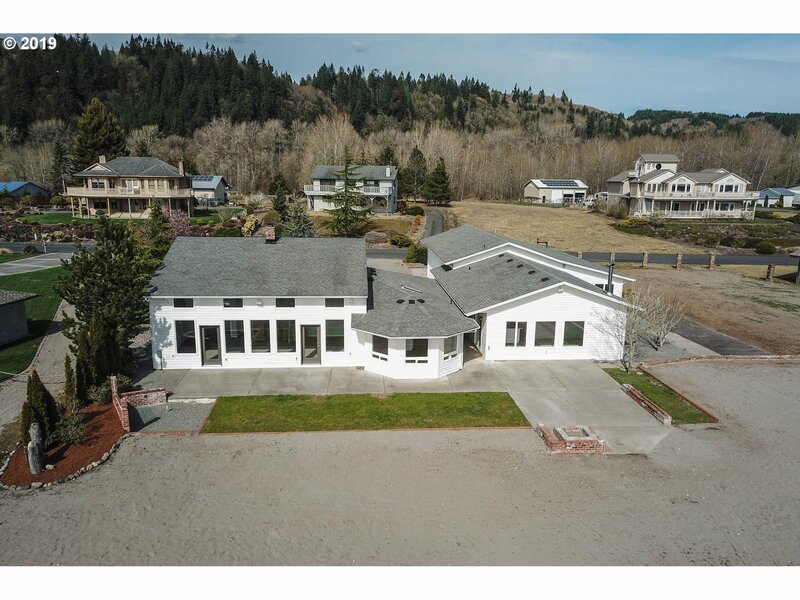 This home has beautiful garden setting, circular driveway & RV/boat parking"
"Breathtaking river views and recent remodel make for a beautiful property that is a rare find! New interior paint, carpet, hardwood flooring, bath appointments, & lighting. Light/bright kitchen with quartz counters, tile backsplash, & gleaming SS appliances. 2-car gar w/RV parking & carport. Beautiful views from most windows & from the newly renovated deck & patio. 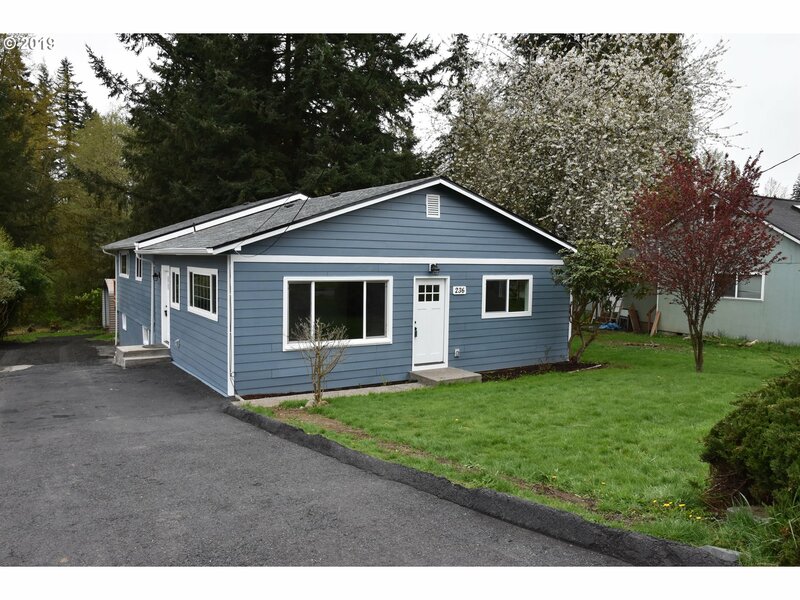 Great community and within minutes to services & I-5. Open Sat, 12 til 3"
"Amazing updated family home! Potential for multi-generational living with downstairs kitchen and living space. 2 massive fireplaces. Large backyard perfect for kids, big deck for entertaining. Vaulted ceilings with windows for plenty of natural light. Peek a boo views. Tons of updates. Must see to appreciate!" "Wonderful Territorial View! This 4 bedroom, 2 bath, single story home features a wonderful great room concept complete with vaulted ceilings & Skylights! The kitchen features a beautiful tile back splash, breakfast bar/island, and pantry. The master is vaulted & has a walk in closet, attached bath with skylight, walk in shower & a good sized soaking tub. Situated on 5 acres with plenty of parking and room to build a shop! See Today!" "TO BE BUILT- Brand new 1 story on over 5 quiet acres 10 min. from town. Usable land. Room for shop.Huge old growth trees in a private setting with Abernathy Creek in your back yard. Home is NOT built in flood zone. This is the close in get a way home you've been looking for. BUYER TO VERIFY SCHOOLS." "Tranquil home resting on 2.89 acres with private driveway. Clean curb appeal with new roof and updated windows. Inside, offers new carpet with laminate floors throughout the kitchen, granite counter tops with new appliances and slider door just off the dinning to your private deck - great for BBQ's or entertaining guest. Home is equipped with private well, new septic tank, updated bathrooms with daylight basement. Large usable shop." 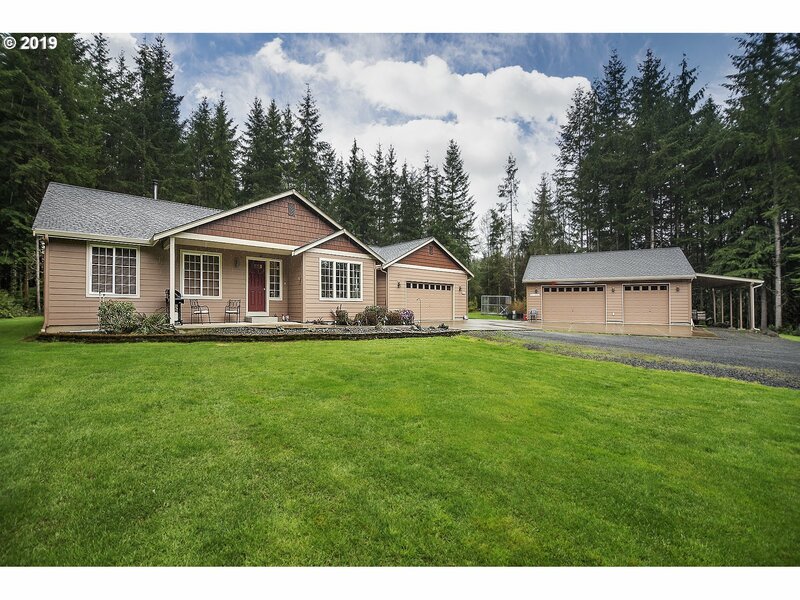 "Beautifully updated home located on desirable Cascade Way! Beautiful home boasting 2,092 SF, 3 bdrms, 2 full bthrms, remodeled kitchen w/Custom Selix cabinetry, slab granite countertops & pantry, frml living rm w/FP & insert, refinished hardwood floors, dining rm, family rm, large utility rm w/abondant cabinets, Spacious mstr suite w/walk-in closet, full bthrm, sky lights, trayed ceiling & den/office, & Fr doors deck, a 1 car garage." "Beautiful updated home looking for a new owner. Features 4 bedroom, 2 1/2 bath, updated kitchen with all appliances granite counters, subway back splash, wood plank vinyl flooring, new interior paint, new carpet, formal living room/office, dining room, family room, large master with updated bath, walk in closet, a large lot, RV Parking, large garden shed/playhouse, 2 car att. garage, heat pump/furnace, and even a natural buffer behind h"
"Just Imagine a Like New Home on a Half Acre! Features many spacious living areas and quality throughout! The kitchen features custom cabinets, quartz counter tops, and stainless appliances. The master showcases and walk in closet, custom built barn doors & tile shower in the bath. The home has 3 car covered parking with a 24x25 pole building, and plenty of room to build that shop you have always wanted! Come see this beautiful home!" 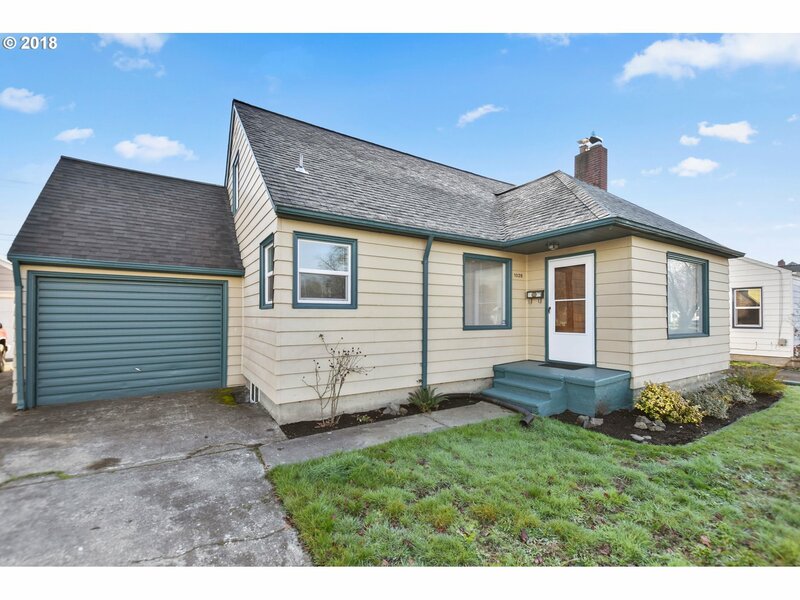 "Approx 4 blocks to Lake Sacajawea, this 4 bdrm home w/ bonus rms features hrdwd flrs on main flr, new windows, updated plumbing & new roof. Updated kit & new frige & DW. New carpet warms the huge bdrm upstrs along w/ a walk in 1/2 cedar lined clst. Bsmnt has ldry rm, 3/4 bath, bonus Rms,& Workshop. Att sl car, 2 car det fully fncd bckyd." "This 3 bedroom, 2.5 Bath home has what you want! Features a living room with open beam ceilings, open layout, & fireplace! The kitchen showcases quartz counter tops, stainless steel appliances, new custom cabinets, & pantry space. Also features a spacious master with barn door, and bath w double sink, quartz counters, and beautiful tile work! The home has a family room, vinyl windows, forced air heat, double garage, fenced yard, & More!" 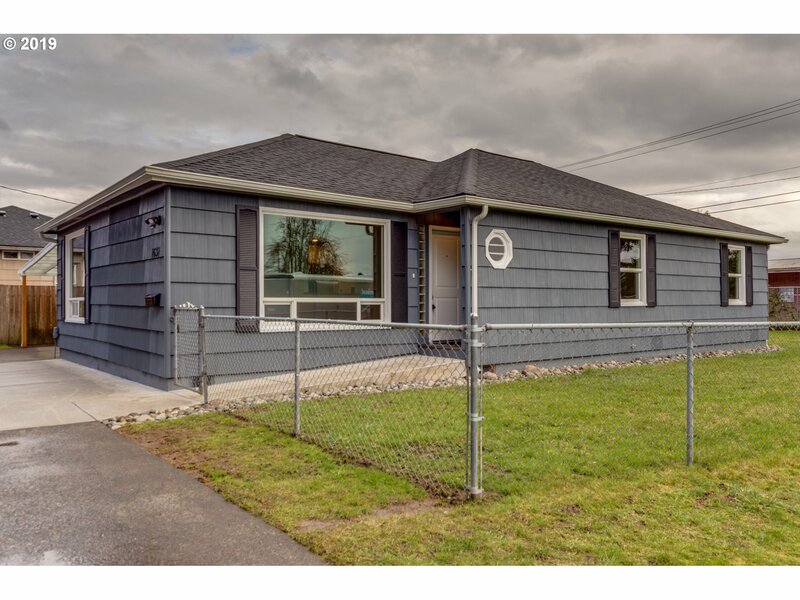 "Don't miss this excellent value for a spacious home w/ a great view of Mt St Helens! This home has a large living room, separate family room, kitchen w/ adjacent dining room, bonus room and laundry room. Updates include new interior paint, flooring, counters, stainless appliances and more. Also has an attached 2-car garage, attached 1-car carport, private backyard surrounded by trees, and spacious deck to enjoy the view! Fresh & clean!" 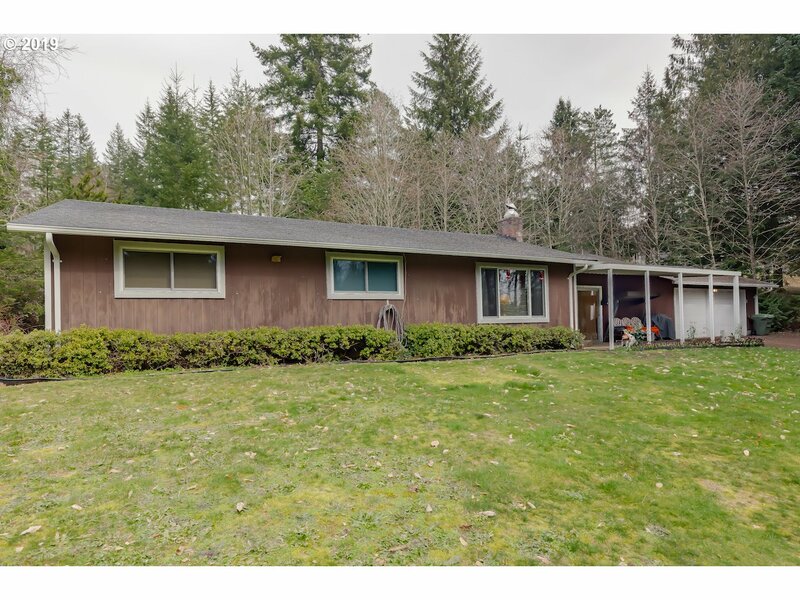 "Wonderful country home on one acre in West Longview. 1716 sq ft with 3 bedrooms and one bath. This home offers a cozy feel and privacy. Windows are one years old with a transferable warranty. Large bonus room with endless possibilities. Double car garage, RV parking and room to build your dream shop! This is a must see!" "Charming home needs a little TLC. Beautiful neighborhood. Fully fenced yard, with lots of extra storage. Incl greenhouse, carport, and a garage. LG formal liv rm, spaces fam rm, Kit w/eating bar, ss appliances, forced air w/heat pump, 2 fireplaces, full bath lower fl w/jetted tub, and deck off eating area." 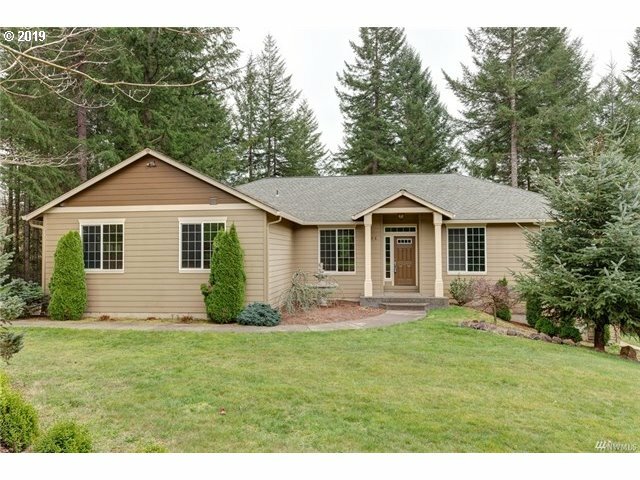 "Beautiful home right on Lake Sacajawea! Home features 4 bedrooms and 1.5 baths, kitchen with eating area + dinning room or extra family room? This property is move in ready with fresh paint, brand new heat pump and furnace. Roof was new in 2006, siding and kitchen remodel in 2010. Seller is also including a home warranty from America's Preferred Home Warran"
"Indulge in the perks of this 3 bed/2 bath reverse living floor plan home on over 1/2 acre. (2 parcels 624900100 and 62490). Beautifully maintained and updated this home is not only spacious in living area but also has lots of storage. Very nice updated kitchen with stainless steel appliances, bathrooms, and much more. Enjoy sitting or entertaining from the deck or find solace in the sound and beauty of the water feature. RV parking"
"Have you been looking for the perfect turn key home, look no further! This home has it all! Giant back yard, fully fenced, LED lighting throughout, spacious garage, wrap around driveway parks 6 easily, soft close cupboards and drawers, butcher block counter tops,2 fully remodeled bathrooms,brand new plumbing throughout,all the bedrooms have new carpet,powder coated trim, hard wood floors, new appliances, brand new 2019 heat-pump!"